Access Get Password and Remove is an easy-to-use utility with powerful functionality for recovering lost or forgotten MS Access MDB database passwords. The key features are: retrieving the password up to 20 characters long, multi-encoding support, hexadecimal password dump, drag-and-drop technique, changing the password, removing the password, saving the unlocked password to a text file. 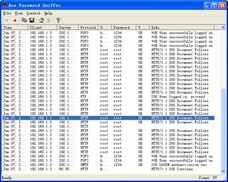 Access Manager is a FREE software solution that keeps all your passwords in one, simple to use list. It offers fast, easy and secure password management. One 'Master Password' is all that is needed to access all your passwords and private information. Have you forgotten access database password due to some technical problem or due to any system problem? Now, you want to open access database and want to recover access database password with an advance access password recovery tool. Are you searching a solution to recover lost MDB file password? Using Microsoft MDB password recovery tool you can easily repair MDB password and get back the database without any loss. The Access Password Recovery tool allows the users to copy the password on the system and it will not waste your time. Ace Secret Disk is a safe, simple and stable disk encryption utility, allowing you to create virtual disks on PC where you can put your important data in. The virtual disk is invisible, which is more secure for your data. The software features high safety thanks to the new encryption method, and the secret disk doesn't take up extra space. Data import and export is fast as lightning. Besides, the use of the secret disk is just like a normal one.